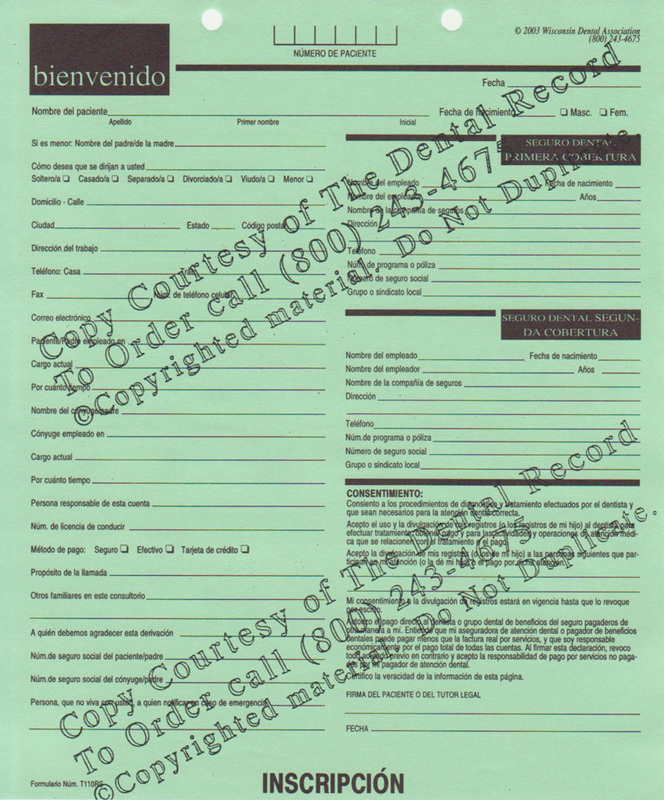 This Spanish Registration Form should be completed when a new patient presents himself/herself to the office. 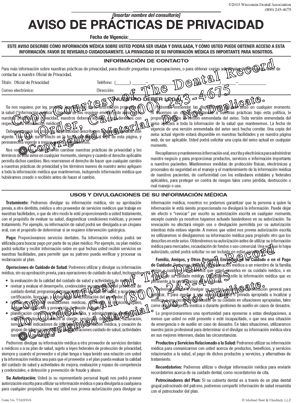 This form has areas for the patient to record family information, address, phone numbers, payment responsibility, employment information, insurance information and release of information. Tablets of 100 single-sided sheets, pre-punched and cut to fit. In Spanish.